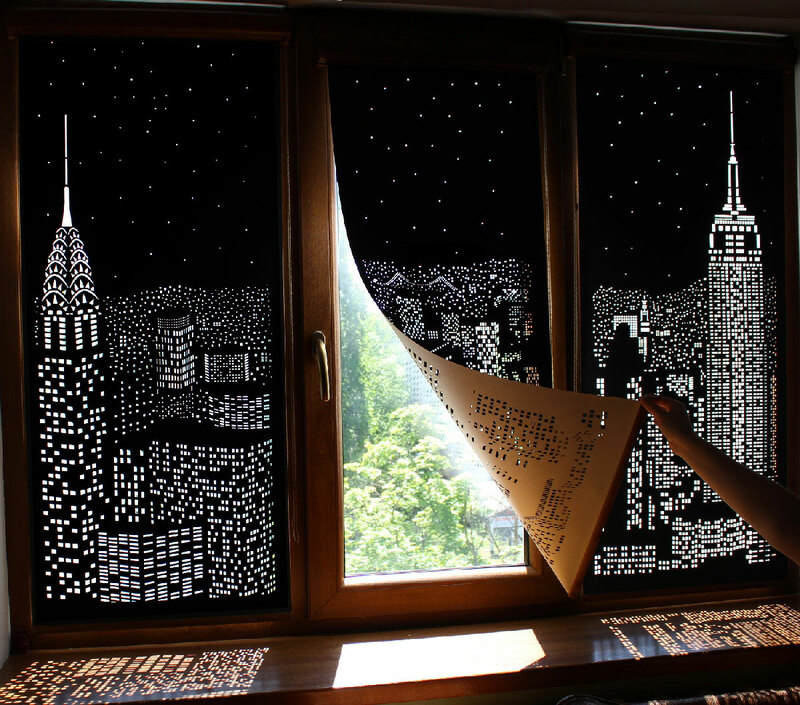 HoleRoll, a Ukranian blind company, produced a very particular kind of courtains. 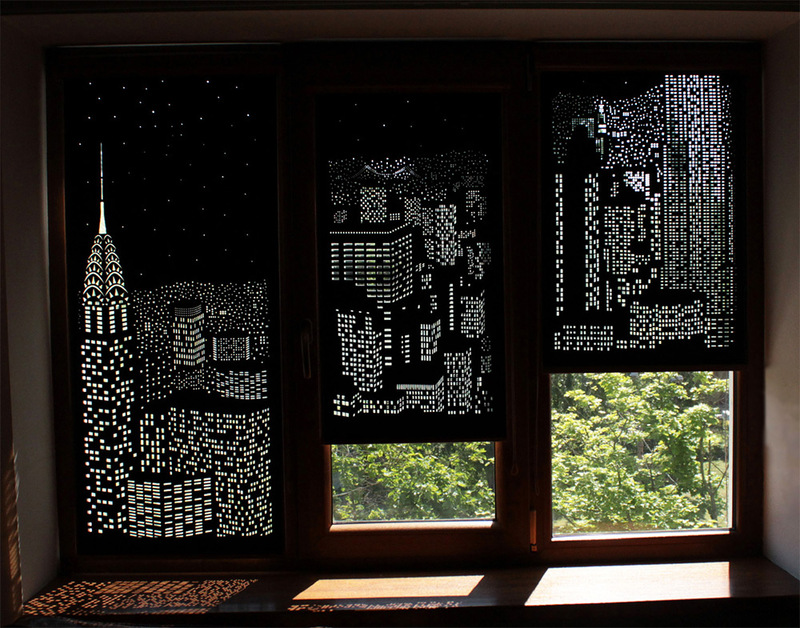 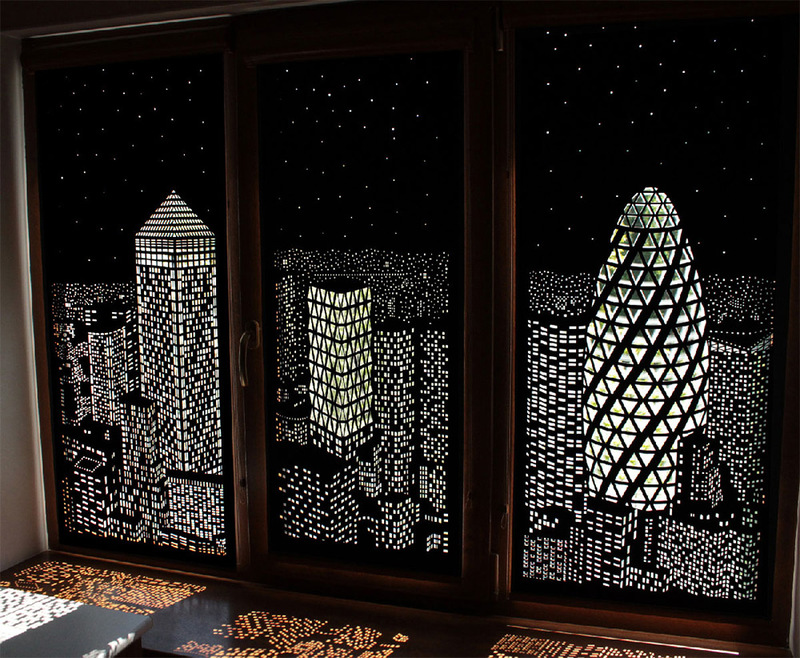 These are windows panels minutely pierced to create the shape of famous cities during the night. 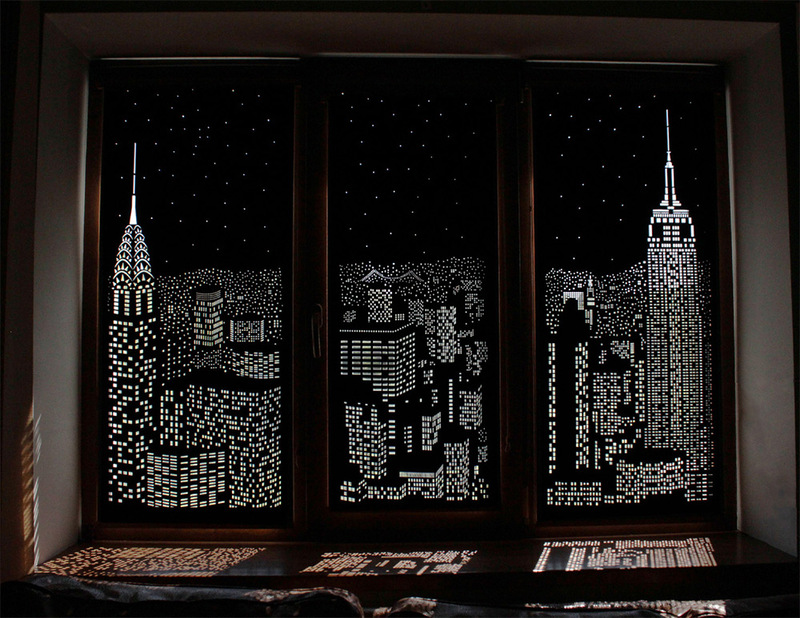 This particular setting will transform any room into a dreamy nightscpae. 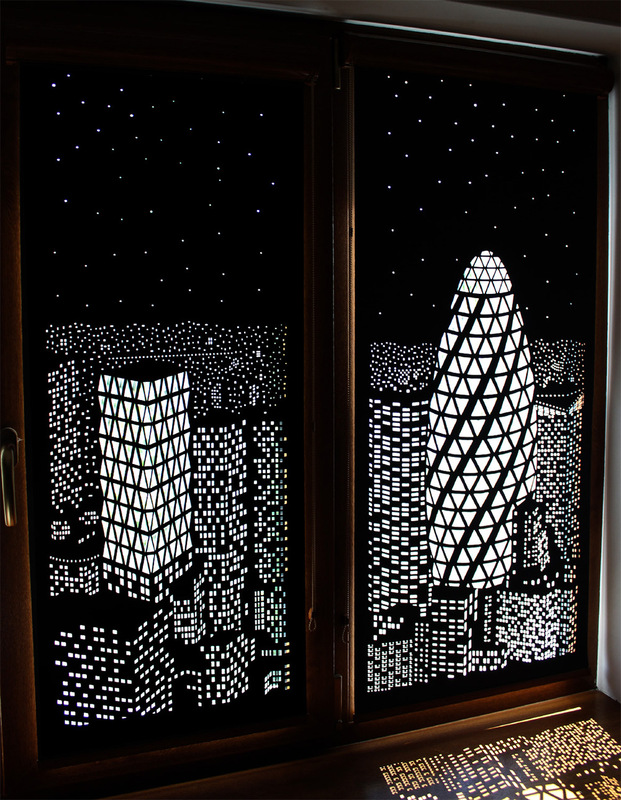 To know more about this project, more information here.